Ubuntu 13.04 will be available for download in a few hours and since many of you will be installing it as soon as it's released, here are 7 useful things you can do right after the installation. Unity Tweak Tool is a pretty new application that's available in the Ubuntu 13.04 repositories, which you can use to tweak Unity: change various aspects of the Unity interface such as auto-hide behavior, change the Unity Launcher icons size, color, and more, set up hotcorners, tweak the Dash search, change the GTK, icon theme or fonts and much more. If you use GNOME Shell, install GNOME Tweak Tool instead. Here, you can also set Dash not to include online search results. This will disable the controversial Shopping Lens along with the other online searches performed by the Friends lens or the Photo lens. And finally, if you constantly change the privacy settings (e.g. : often disable Zeitgeist logging; Zeitgeist is used to log the files that show up in Dash), you can use Privacy Indicator which lets you clear the Zeitgeist (and thus, Dash) logs, clear the recent files list (which shows up in the Nautilus "Recent" sidebar item for example), and quickly enable/disable Zeitgeist logging or the online search results. 3. Solution for popular missing features: weather and calendar indicators. Two features that Ubuntu lacks in my opinion are weather and calendar indicators. Hopefully, the Ubuntu developers will have some time to fulfill these popular feature requests soon, but until then we can use some third-party indicators that work great. 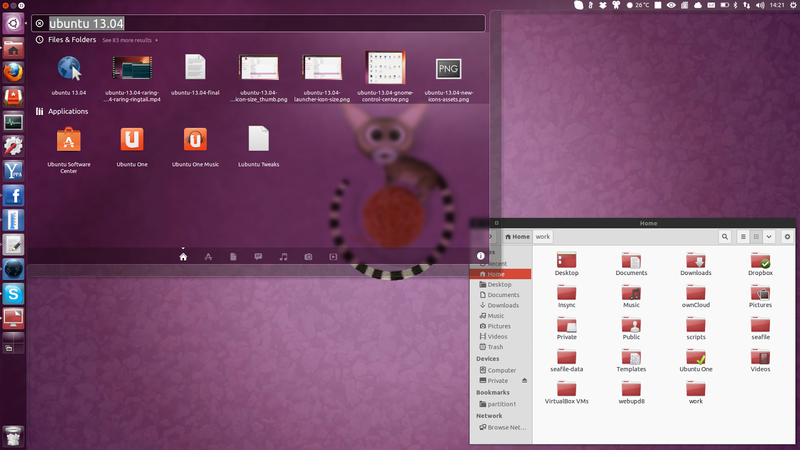 Another feature that, at least in my opinion, Ubuntu lacks, is a proper calendar. I use Google Calendar and if you use it too, you'll love Google Calendar Indicator, an application that can be used to easily add new Google Calendar events, display your current events with notifications, browse your calendars and so on. For more indicators, check out our AppIndicator tag. Currently, there's a bug with Bumblebee 3.1 and Ubuntu 13.04 (and version 3.2 which fixes this has been released a couple of days ago, but then removed from the PPA because it has a nasty bug and doesn't work at all in Raring, no fix has been found yet). This bug has been fixed in Bumblebee 3.2.1. More about Bumblebee, using the Primus backend, etc. This doesn't have anything to do with battery life is an important tweak nevertheless: if you're using a SSD, it's pretty important to enable TRIM so its performance doesn't decrease over time. There are quite a few steps to achieve this so I won't add instructions for how to do this in this post - you'll find them HERE instead. 5. Fix Google Chrome, Skype. Then, Google Chrome Stable or Beta should install in Ubuntu 13.04. Skype currently crashes on start for Ubuntu 13.04 users that have installed the proprietary Nvidia drivers. The bug also affects some AMD / ATI proprietary graphics drivers users and some of them have reported that the fix below works for them too. If you've upgraded from Ubuntu 12.10 to Ubuntu 13.04, all your PPAs were disabled in the process. Ubuntu 13.04 already has the latest version for most packages, but there are some that aren't the latest version or you may want to install some applications that aren't available in the official repositories / Ubuntu Software Center. Y PPA Manager can help you with this: it can automatically re-enable the PPAs that work with Ubuntu 13.04, leaving the others disabled. For this, open Y PPA Manager (installation instructions below) and under "Advanced", select "Re-enable working PPAs after Ubuntu upgrade" and wait until Y PPA Manager scans all your PPAs, checks if they work with Ubuntu 13.04 and if they do, it enables them. We have a tip for fresh installs too regarding this: if you've backed up the PPAs you had on an older Ubuntu version (e.g. using Y PPA Manager), you can restore the backup in Ubuntu 13.04 and use Y PPA Manager to update the PPAs to Ubuntu 13.04, but only for the PPAs that actually work on Ubuntu 13.04, leaving the others as they are so you don't get any 404 errors. To do this, in Y PPA Manager > Advanced, select "Update release name in working PPAs", under "Current Ubuntu version" enter: "raring" (without the quotes) and under "Previous Ubuntu version" enter the Ubuntu version from which you've copied the PPAs from (e.g. : quantal), then click OK and wait for the application to scan all your PPAs and upgrade to Raring those that support it. Now it's your turn. 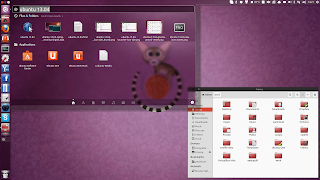 What are the first things you install or tweak after installing Ubuntu?